Amongst the other snippets taken from the press the I published yesterday in its ‘The Opinion Matrix’ column, was this piece from the Week’s editorial arguing for the part privatisation of the NHS. It is clear that the next government will inherit a health service under huge financial pressure – so could a form of privatisation help fix the “financial hole”? This is not a new phenomenon. Indeed it is not. It was suggested back in the 1980s by a group set up by Maggie Thatcher to examine the ways of increasing the role of private enterprise in the NHS. The Private Finance Initiative set up by Peter Lilley was, according to Private Eye, part of this. As has been Nigel Farage’s suggestion that the NHS should be financed through insurance contributions. In fact the NHS is far more efficient than the privately run, insurance-funded American system. This has seen a massive increase in bills for patients from the private medical providers and the insurance companies. Forty per cent of bankruptcies in America are due to inability to pay medical bills. Much of the increased costs in the health service is actually due to the internal market and repayments to the private companies administering the hospitals due the PFI. And the use of insurance to top up state financing of the NHS was discussed and firmly rejected by Robin Cook in his pamphlet on the NHS published back in 1987. You could make the NHS more efficient and save money by simply ending PFI and the internal market. This would, however, horrify the parasites in the private medical companies now trying to worm their way into the NHS by sponsoring parties, as well as their puppets and cheerleaders in the Conservatives, Lib Dems and the Tory Press. One element of which is the Week. I gave up reading it a few years ago because of its Tory bias. That little snippet in the I has not encouraged me to return to it. 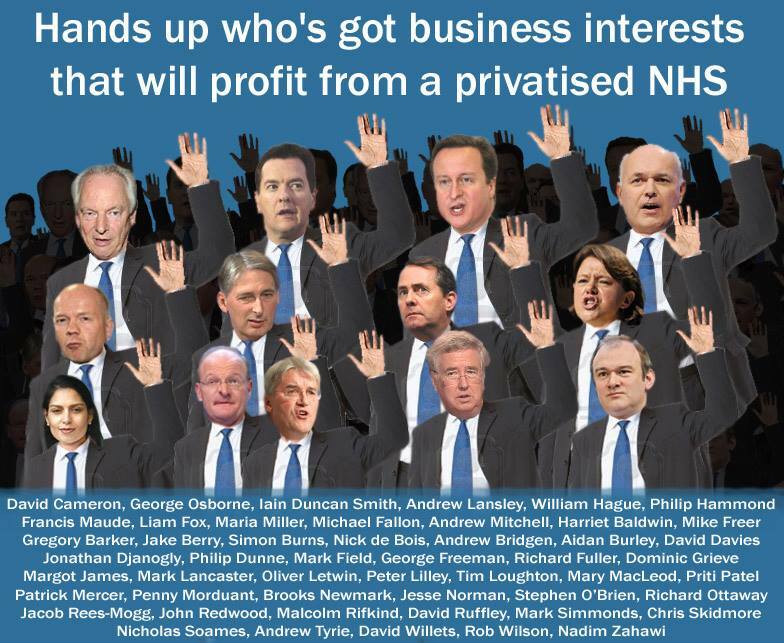 Ed Miliband, on the other hand, has stated that he will end the privatisation of the NHS, which Clegg and Cameron have not. And for that reason, as well as many others, I feel he should be supported on May 7th.